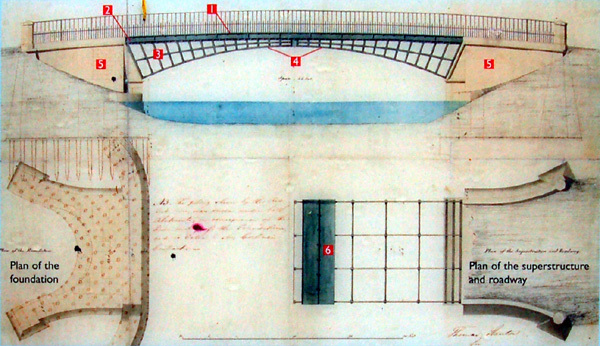 A single span iron bridge built to a design approved by Thomas Telford. 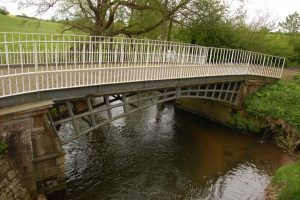 Telford was county surveyor of bridges for Shropshire from 1787 to 1834 and was responsible for 42 bridges in the county. Cantlop Bridge is the only one still remaining in its original position. It is no longer used by road traffic, however. 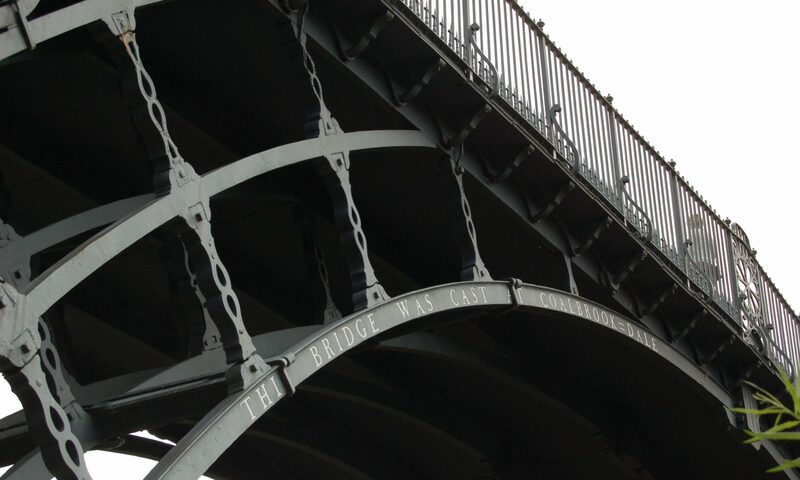 It was replaced by a nearby concrete bridge in the 1970s.